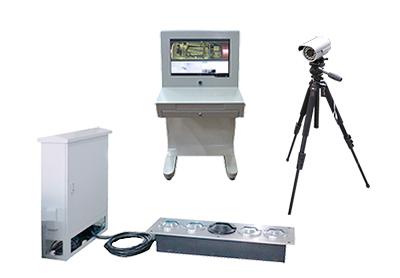 Adopting digital linear array scanning cameras, high image Resolution and clarity. Vehicle bottom complete imaging, without any omission, clear, complete, no distortion, and image can be observed clearly not less than 2 mm in diameter. IP68 protection grade, high pressure & earthquake defense, to adapt to any climate. Can prepare for inspection processes at site to meet the needs of the various sites. Multiple scene image monitor, video recording. Support multiple devices connected to the internet control. Fixed under vehicle afety inspection system is mainly to detect vehicles, able to quickly accurately find hidden underneath banned items and illegal smuggling, smuggling, check cars faster and more accurate than traditional under vehicle search mirror the , greatly improves the speed of the vehicle safety inspection and accuracy, reduce the investment of human resources. 1. airports, prisons, customs and other government departments, and large public parking lot entrances, to check if there is a prohibited item in the vehicle. 2. large-scale activities, exhibition entrance for vehicle safety inspection.